I was 18 years old the first time I was pulled over by a Police Officer. I was riding my bike home after work and coming up to a stop sign located at the top of a small hill. Not wanting to lose my momentum, I simply blew past the stop sign. Sure enough, a Cop saw the whole thing and pulled me over. I got a scolding from the Police Officer and was let off with a warning. About 18 years have past and I am still guilt of the "California Stop". Sure I am mindful of cross traffic but the fact is slowing down is an inconvenience. 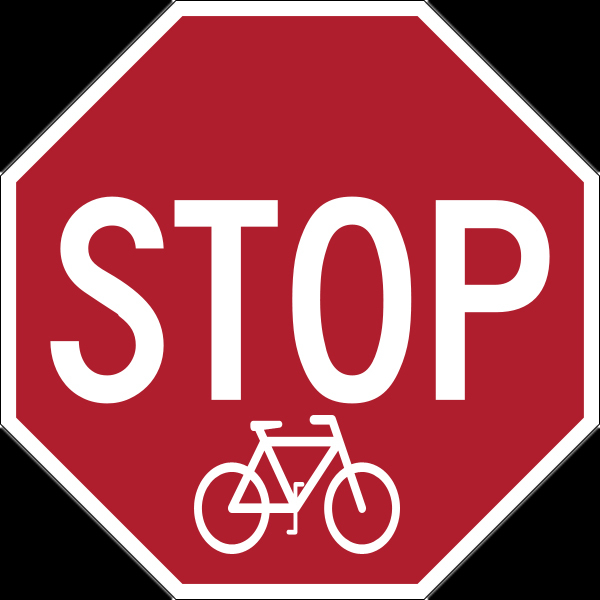 The article below discusses two bills, one of which proposes allowing cyclists to treat stop signs as yield signs. "Two bills that could have a major effect on riding bikes in Arizona advanced through the state’s House Transportation Committee yesterday. 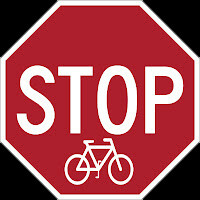 A bill allowing cyclists to treat stop signs as yield signs (HB2211) and a bill banning texting while driving (HB2512) advanced past the Transportation Committee for the first time in four and six years respectively. Both votes were 6-2 in favor of the bills. The bills’ co-sponsors caution that there are still challenges to getting the bills in front of the legislators for a vote. Rep. Daniel Patterson, D-Tucson, has been trying to get the yield law passed for the last four years. He said now that the bills have passed the Transportation Committee they go on to the Rules Committee. Patterson said the support from the 15-20 cyclists that showed up at the hearing went a long way toward getting the yield law approved. He said one cyclist told the members about his commute through Phoenix that takes him past 50 stop signs. He told them about how inefficient it is to stop 50 times during a commute." How can you "yield" at 15-20 mph as a bike rider? And, if you "yield" and not stop, and get hit by a car are you going to sue? Efficiency is not the issue, SAFETY is.... If you want to "share" the road you must also abide by the roads tools, i.e. Stop signs. Especially when you are plugged into your iPhone, listening to music with your ear buds... I am a driver, as well as a mountain, and road cyclist, rules save lives, and selfishness puts us all at a higher risk. As a cyclist, I research alternate less direct, safer routs to use...sure the view of PCH is great, but it is lots more dangerous, not to mention slows down auto traffic, causing drivers to hate bikers even more. Just use the signs we all agreed on and be safe. Special rules for special groups just makes us all less safe. Are Bicycle Lanes Really Green? Bicycle Law - Stay 4ft Away and Don't Cut Me Off! Wouldn't Another BIke Be Nice? F*ck You, I'm on a Bike!